1.Support bandwidth up to 600MHz & transmitting data at speeds of up to 10Gbps ,connect to LAN/WAN segments and networking gear at maximum speeds. 2.Surf the net, stream video, music , and other data at greater speed without worrying about cable mess,protect against EMI/RFI interference ,accurate data transfer and reliability. 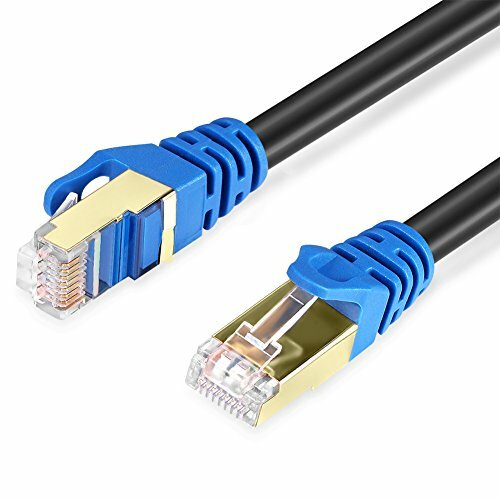 3.The RJ45 Networking Cable is perfect for network adapters,routers,cable modems, PS3, PS4, X-box, patch panels and other networking applications. 4.Backward Compatible with Cat-5e / Cat-6 / Cat-6a Ethernet Cables. 5.One year replacement warranty and life time customer services. Support bandwidth up to 600MHz & transmitting data at speeds of up to 10Gbps ,connect to LAN/WAN segments and networking gear at maximum speeds. Surf the net, stream video, music , and other data at greater speed without worrying about cable mess,protect against EMI/RFI interference ,accurate data transfer and reliability. The RJ45 Networking Cable is perfect for network adapters,routers,cable modems, PS3, PS4, X-box, patch panels and other networking applications. Backward Compatible with Cat-5e / Cat-6 / Cat-6a Ethernet Cables. One year replacement warranty and life time customer services. If you have any questions about this product by SHENZHENBAISHIJISHENGKEJIYOUXIANGONGSI, contact us by completing and submitting the form below. If you are looking for a specif part number, please include it with your message.